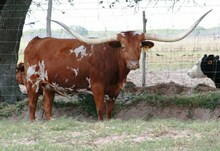 On 10/27/2012 the first Registed Texas Longhorn was officially measured at 90 5/8" tip to tip. 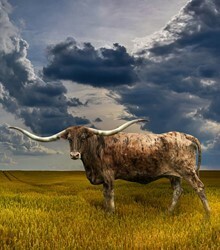 The crowd applauded as this great new boundry had been passed. 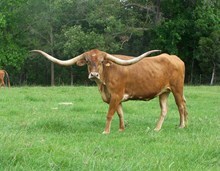 BL Rio Catchit has already proven to be a cow of extreme prestige producing two sons over 70" tip to tip. 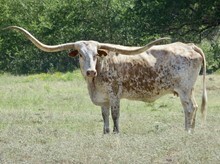 She has also passed over 100" total horn and is quickly approaching the milestone of 110" total horn. 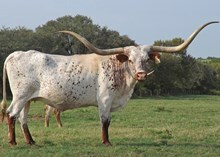 Ending the 2012 year, BL Rio Catchit is the longest horned tip to tip and total horn Longhorn in the industry. 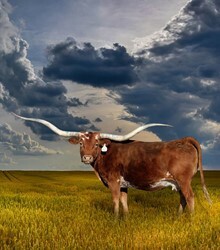 Longer than any other cow or bull in the industry, all that can be said is that the steers better watch out. 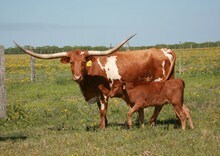 The first ten cows & first bull have been set into the history books as the first 90" Registered Texas Longhorns. 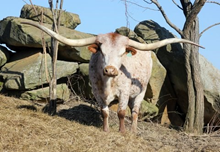 2015 has proven to be a big year for Registered Texas Longhorns. 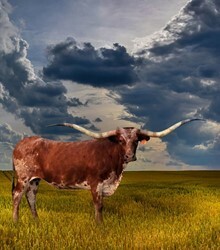 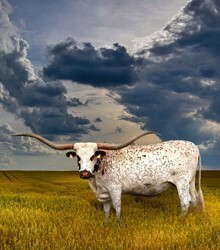 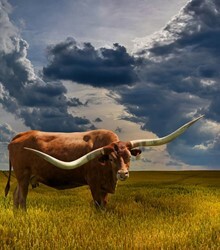 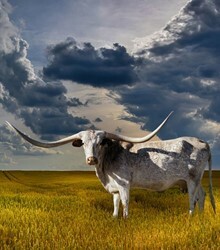 Several rumors abound of other Registered Texas Longhorn that have made the 90" tip to tip mark. 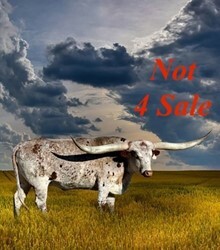 However, you have to measure up if you want to be considered. 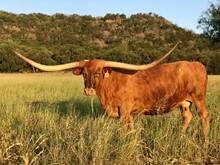 All but two of these participants have been Officially measured. 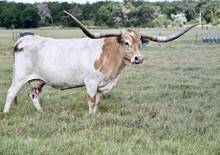 The only cow to be among the first ten 80" tip to tip Registered Texas Longhorns to reach 90" is Shadow Jubilee. 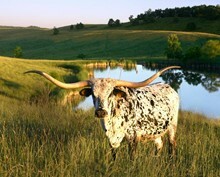 The first ten 80" cows hit the scene in 2009. 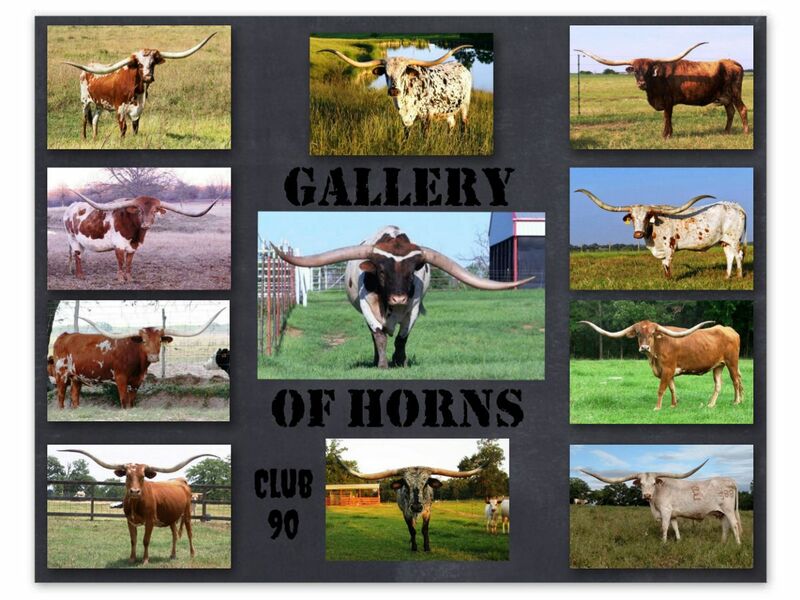 In six years we see the first ten 90" Longhorns. 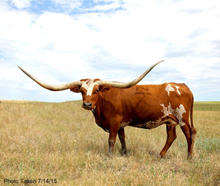 By comparison the first 80" cow measured up in 2004, while the first 90" cow measured up in 2012.